So here’s a video post…I received the Babyliss Curl Secret Hair Styler for Christmas as a surprise, and I now switch my usual curlers for this instead. Thanks mum, you did very well. Please excuse my cringey, awkwardness for this video – I’m no pro. The styler has an 8, 10 & 12 setting – I used number 8 to get this look. 10 & 12 will give you tighter, ringlet curls. Don’t fret if it frantically beeps at you; just take the hair out, brush it through and try a smaller piece. 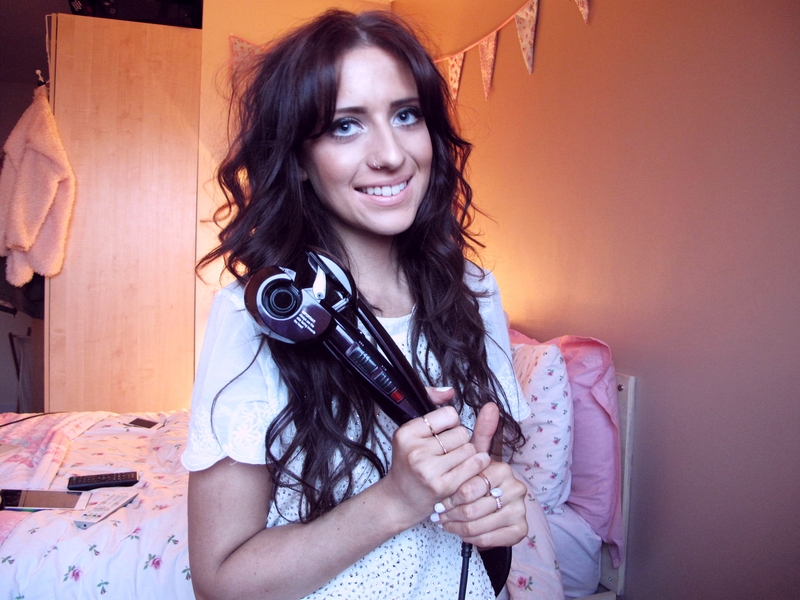 This styler is no hassle, no fuss. It does it all for you, and you don’t have to worry about burning yourself! Let me know if you have this styler & if so how you use it!